Are you sure you can master over any chemistry related questions? Try out this chemistry related quiz and see whether you can solve every relevant question without actually looking at the answers. And if you succeed without seeking any sort of help than consider yourself as a master of this particular subject. So what are you waiting for? Go ahead and try solving this simple chemistry quiz. Once solved, challenge your friends with the list of questions. The metal used to recover copper from a solution of copper sulphate is? What is the centre of an atom called? 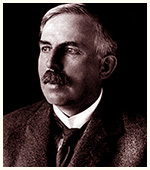 Famous New Zealand scientist Ernest Rutherford was awarded a Nobel Prize in which field? The most commonly used bleaching agent is? The heat required to raise the temperature of body by 1 K is called? What is the third most common gas found in the air we breathe? True or false? Bases have a pH level below 7? Is sodium hydroxide (NaOH) an acid or base? The first metal used by man was? 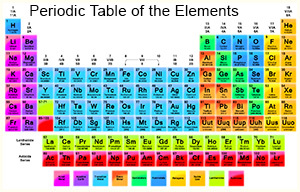 Atoms of the same chemical element that have different atomic mass are known as? What is the fourth most abundant element in the universe in terms of mass? A nuclear reaction where the nucleus of an atom splits into smaller parts is known as nuclear fission or nuclear fusion? The most important ore of aluminium is?